No birthday celebration is complete without cake! 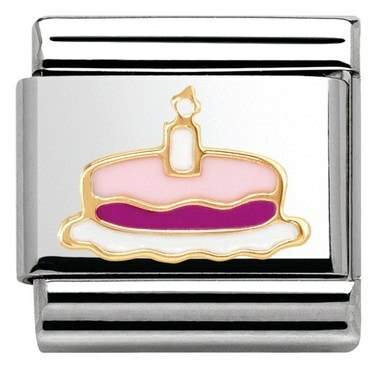 This adorable charm from Nomination makes the perfect birthday gift they can cherish on their bracelet forever. Bought this to go on our granddaughters bracelet for her 1st birthday. I think it's really special, one that she will remember what she got it for. I bought this for my young niece, she collects Nomination charms for her bracelet. Again, lovely neat design. Bought for a friend's 40th birthday. Lovely present and friend loved it. beautiful little charm, sets of the bracelet!! bought for my mums birthday. lovely item. thanks.